Aye, that fits. This painting is one of my earliest. 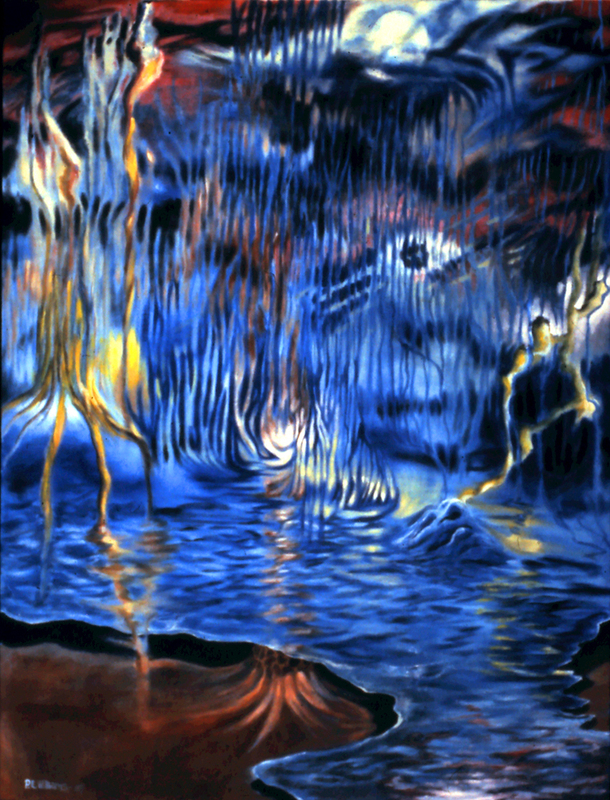 I hadn’t read any Clive Barker at the time, but when I did not long after painting this, (Weave World), it was like he had reported from some alternate space with which I was familiar. I marvel at Ligotti’s ability to take such an alienating mode of consciousness and give it narrative form. His experience seems more like this space observed stripped of human cultural/cognitive patterns overlaid.